HER HANDKERCHIEF SWEPT ME ALONG THE RHINE 1973 Patrick Caulfield (1936 – 2005)	P5034 © The Estate of Patrick Caulfield. All rights reserved, DACS 2018. 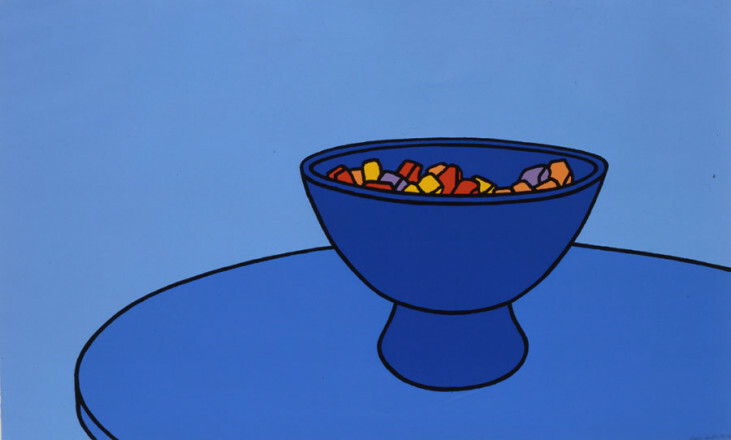 SWEET BOWL 1967 Patrick Caulfield (1936 – 2005)	P886 © The Estate of Patrick Caulfield. All rights reserved, DACS 2018. 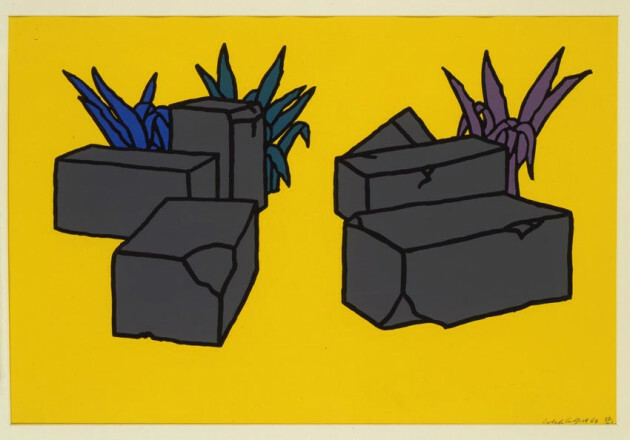 RUINS 1964 Patrick Caulfield (1936 – 2005)	P817 © The Estate of Patrick Caulfield. All rights reserved, DACS 2018. 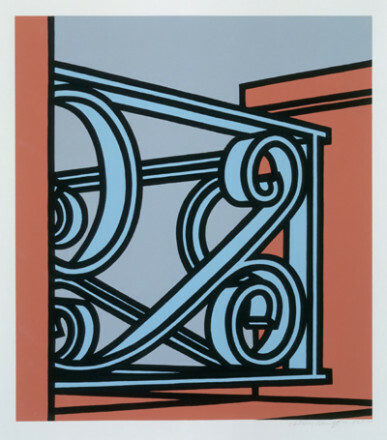 THE BLUE POSTS 1989 Patrick Caulfield (1936 – 2005)	P5802 © The Estate of Patrick Caulfield. All rights reserved, DACS 2018. 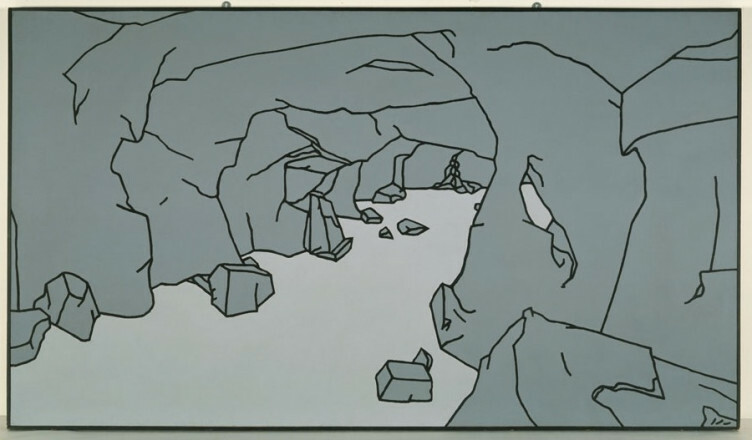 AND WITH MY EYES BOLTING TOWARD THE UNCONSCIOUS 1973 Patrick Caulfield (1936 – 2005)	P5042 © The Estate of Patrick Caulfield. All rights reserved, DACS 2018. AH STORM CLOUDS RUSHED FROM THE CHANNEL COASTS 1973 Patrick Caulfield (1936 – 2005)	P5050 © The Estate of Patrick Caulfield. All rights reserved, DACS 2018. 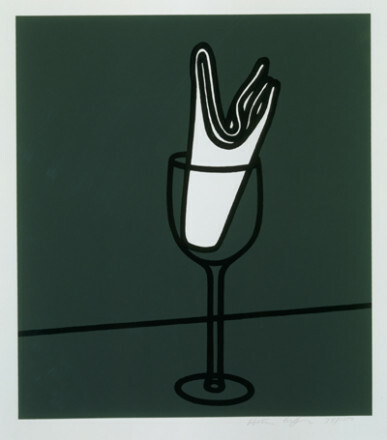 WATCH ME EAT , WITHOUT APPETITE, A LA CARTE 1973 Patrick Caulfield (1936 – 2005)	P5032 © The Estate of Patrick Caulfield. All rights reserved, DACS 2018. 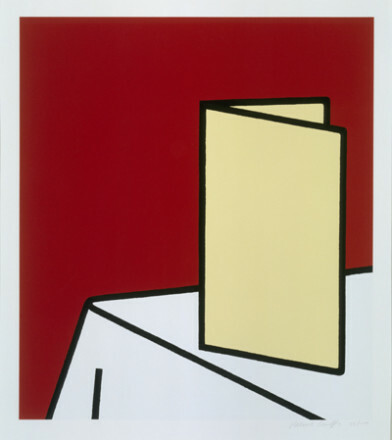 UNTITLED 1992 Patrick Caulfield (1936 – 2005)	P6085 © The Estate of Patrick Caulfield. All rights reserved, DACS 2018. 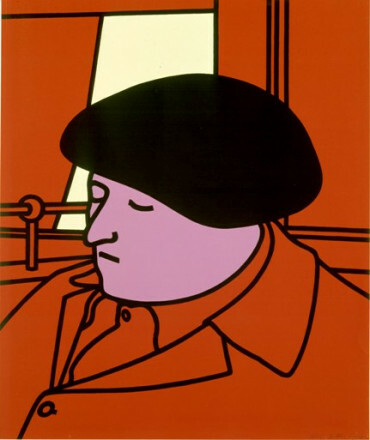 PORTRAIT OF A FRENCHMAN 1971 Patrick Caulfield (1936 – 2005)	P1611 © The Estate of Patrick Caulfield. All rights reserved, DACS 2018. 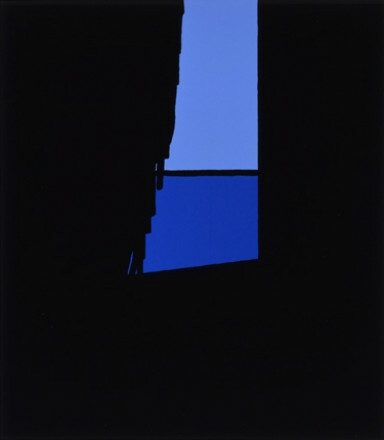 Patrick Caulfield was born in London, but brought up in Bolton in Lancashire until after World War II when the family moved back to London. After leaving school Caulfield worked in the design department of Crosse & Blackwell, (where one of his tasks was varnishing the chocolates on display), followed by three years national service with the Royal Air Force. In 1956 he attended Chelsea School of Art and in 1960 undertook postgraduate studies at the Royal College of Art. Here he became identified, along with the previous year’s intake (David Hockney, Ron Kitaj, Allen Jones and Derek Boshier) as one of the ‘Pop’ artists. 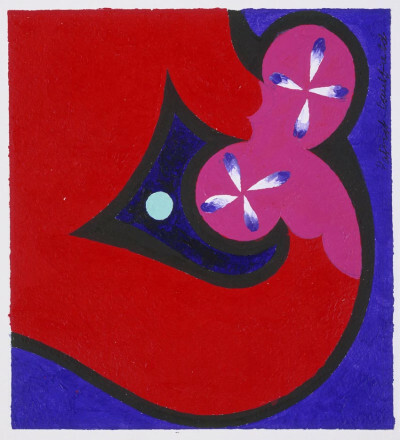 His own interpretation of his work was that "it began as a kind of wholesale reaction against sensitive Slade School English painting which believed that it was bad taste to finish anything". He chose to re-work and ‘modernise’ the traditional themes of Western Art, such as the Still Life, the interior and the Mediterranean view. 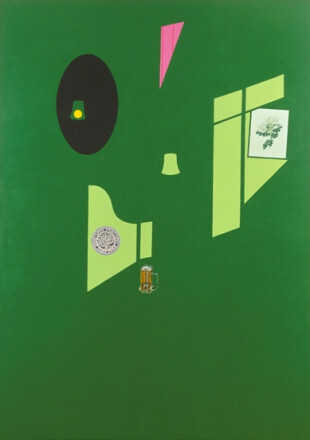 His work is marked as much by irony and his delight in the visual cliché as by its clear ‘commercial’ colour and thick black outlines which were, for a time, a hallmark of his style. Caulfield was a slow worker: paintings taking months to finish and at most he could make between four and six prints a year.